When it comes to training, triathletes have it hardest with not just one sport to train for but three. And while aspects of triathlon training, such as increased cardiovascular fitness, transfers between sports, successful triathletes can’t just train their running and hope to dominate in swimming and biking too. There is no substitute for sport-specific training. If this describes you, you may get the feeling that there isn’t enough time in the day, because there’s not. So, you have to find the time where you can. And one of the best places to look is at your training, which you may be able to make more efficient without compromising results. Goeringer says there are eight training rules time-crunched triathletes should live by. But any athlete who is short on time can still benefit from these guidelines. 1. Emphasize the frequency and consistency of your workouts over massive high-volume sessions. According to Goeringer, shorter and more frequent workouts allow you to gain fitness faster than sporadic, high volume efforts and are easier to fit into a busy schedule. 2. Harness technology and products that save you time. Travel and preparation are the biggest time wasters. Goeringer recommends setting up a home gym where you can cycle indoors instead of driving to a quiet road to ride, or where you can swim on a Vasa Trainer SwimErg and skip the trip to the pool. 3. Brick it if you only have one window of time to work out each day. “The frequency of stimulus within each of the disciplines is important and trumps occasional big days,” says Goeringer, who advises that if you can only create one block of training time in a day, that you should split it between disciplines. 4. Emphasize running while traveling, and don’t worry about packing a lot of gear. Directly before or after travel, plan your key swim and cycling workouts. But while traveling, “prioritize the run,” says Goeringer. “Keep it simple.” Whereas swimming requires finding a pool and cycling requires lugging a bike around, running is efficient, can be done anywhere and requires minimal equipment. 6. Make time to recover. When going hard, it’s essential to emphasize restoration and recovery. The body rebuilds itself when you’re not working out. Make workouts count, but take the time to rest. Note: In this stylized wide angle photo, the athlete is briefly “sighting”. For most of the swim training, make sure you keep a long, taut bodyline from head to toe, avoid arching your lower back and keep legs straight and together. 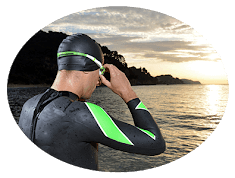 Be sure to check out Vasa’s free 5-part course: Swim Stronger, Better, Faster. “Establish your thresholds, set your training zones and execute workouts at proper intensities,” says Goeringer. A good training plan will have structured workouts intended to be done at specific intensities. For lower-volume athletes especially, it’s even more important to be precise in adhering to a workout’s protocol. By being disciplined and completing intervals at appropriate effort relative to your fitness, you will see superior gains. Not all workouts you execute can or should be low-cost, according to Goeringer. “There is no way around it: to prepare well for the rigors of racing, you need to put in time and effort. Racing fast requires tremendous physical and mental fortitude, and you must get comfortable stimulating and strengthening the physiological and psychological systems that you will need to tap into during races.” But, striving for balance and consistency will make you faster, and overly obsessing over how many hours each week you spend training won’t. Conrad Goeringer is an Ironman Certified Coach based out of Nashville, TN. He is a multiple time triathlon champion and USAT Duathlon National Champion. His passion is helping athletes of all levels and with all schedules achieve their endurance goals. He is the founder of Working Triathlete. To learn more about joining the Working Triathlete community, visit www.workingtriathlete.com and reach out for a consultation. Here is a brief introduction to our most popular dryland swim training equipment from the experts that use it. 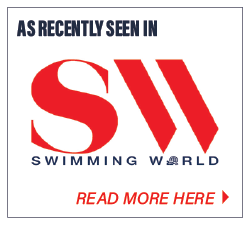 Coach Erik Neilsen breaks down the basics of performing a freestyle stroke using the SwimErg. Subscribe to get this free resource.